4.Fix the problem when the icons to be pressed and held in the task tar don’t vibrate, they begin to vibrate, after relaxing your hold. 5.Fix the problem when turning on the sensor, pressing and holding an icon , then filp around the phone don’t move the icon to another switched page. 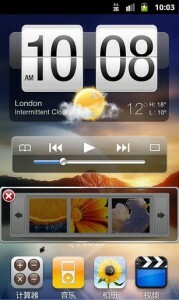 6.Fix the problem that the way of the folder to vibrate isn’t the same as the way of the icons to vibrate. 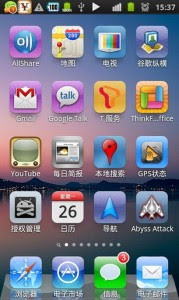 Espier launcher is a mobile phone/tablet PC desktop software based on Android 2.2 or above version.